Halloum: Lebanese cheese. 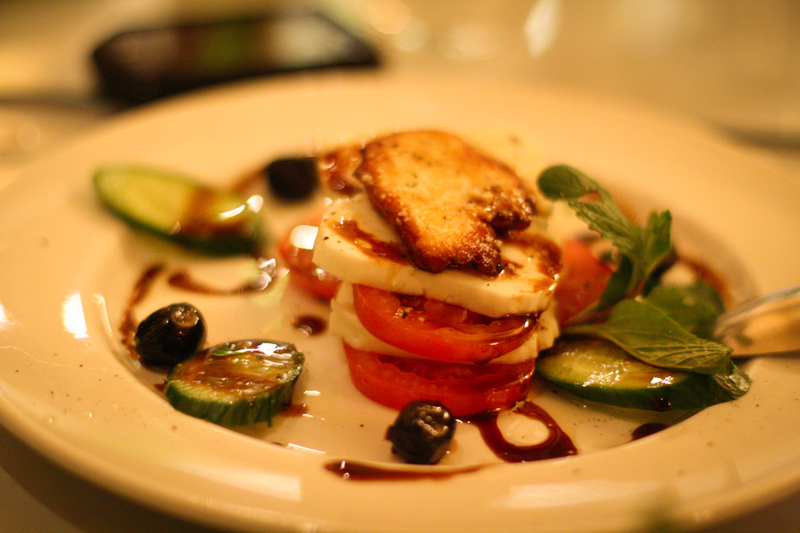 Served with tomato, cucumber, topped with olive oil. LA has its fair share of pita joints. I’m never quite sure what nationality they are. Israeli? Lebanese? Pita must be the Wonder Bread of the Middle East. But formal, sit down non-Persian Middle Eastern restaurants? I can only name a handful. Well, probably only two. 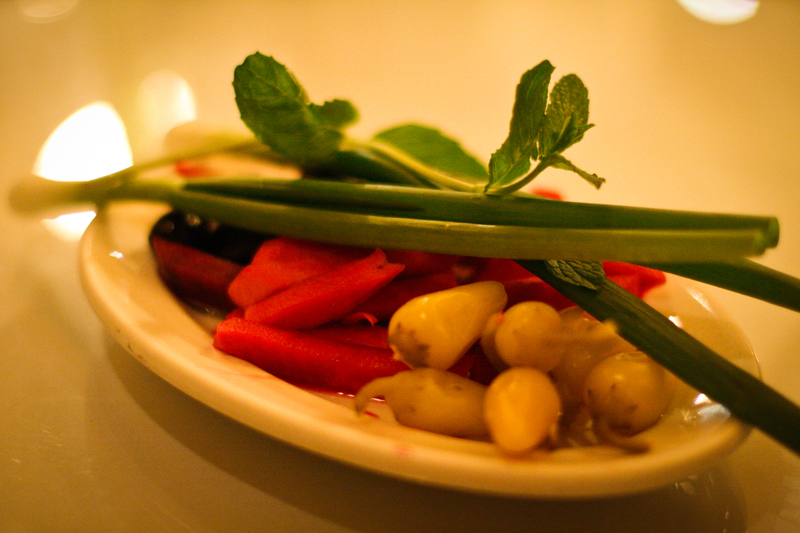 Marouch (Lebanese with a few Armenian menu items) is located in an unassuming (scary) section of Santa Monica Blvd. Technically Little Armenia, but I only see hispanic establishments in that part of town, so I’m not sure what mysterious Armenian exodus has occured. I should investigate it. Captain ordered all the sides for the table (hummus, baba ganoush, caprese salad (what?)) and we also ordered the Yogurt Lamb Kabab. KabAb? Um, ok I guess I’ll allow multiple spellings. 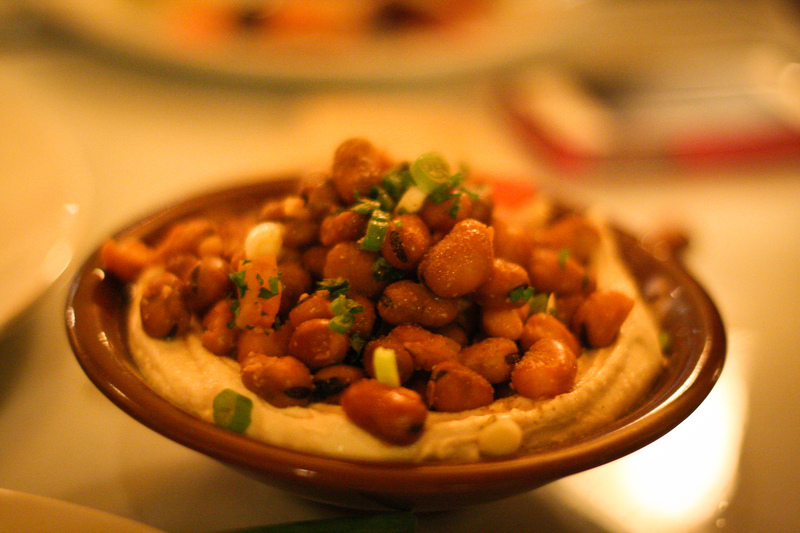 At least they spelled hummus “correctly”, which is often spelled with an ‘o’. Perhaps the spelling is where you can tell nationality? 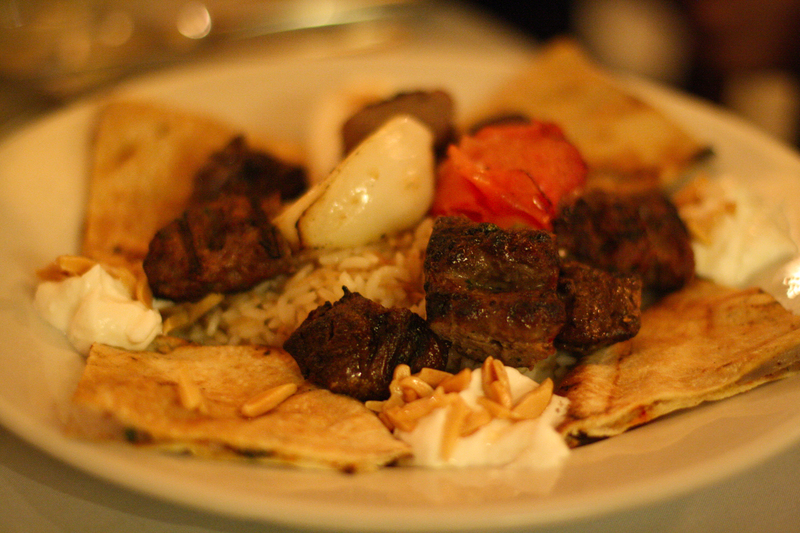 The yogurt kabOb was a delicious plate of almond rice topped with tender lamb chunks with yogurt dipping sections and little onion pita quesadillas. Awesome. Best thing on the menu. And the perfect antedote for a St. Patrick’s Day evening out. Screw the Irish bars, who needs the overpriced Guiness and police checkpoints!? Faith and Begorrah! Allah and Akbar!